And let us tell you that if you choose Malaysia as the place to further your studies, you'll be among 122,061 other international students from 160 countries studying here. (Soaring Upwards: Malaysian Higher Education, MOHE, April 2016). But if you've yet to decide, let us tell you a bit more about Malaysia and why this country could be ideal for you. We will also share what you need to know before making a decision - from the higher education opportunities available to you, to what to expect living as a student in Malaysia. Peninsular Malaysia or West Malaysia comprises 11 states, namely, Johor, Kedah, Kelantan, Melaka, Negeri Sembilan, Pahang, Perak, Perlis, Penang, Selangor and Terengganu. Together with Sabah and Sarawak (located in East Malaysia), they make up the 13 states of Malaysia. There are three Federal Territories namely, Kuala Lumpur - the capital of Malaysia; Putrajaya - the Federal Government Administrative Centre; and Labuan - a 'tax-free' island located off the coast of Sabah. Malaysia is proud to be a multi-racial country living together harmoniously. With about 31 million people, the three major races are Malay, Chinese and Indian. Other ethnicities include Peranakan (Straits Chinese), Orang Asli (indigenous people) and Eurasians (who are mainly of Portuguese, Dutch or British descent). The people of Sarawak are made up of Dayaks, Kayans, Kenyahs, Kelabits (Orang Ulu), Melanaus, Sarawak Malays, Penans and Lun Bawang (Muruts). In Sabah, the indigenous groups consist of the Kadazans/Dusuns, Orang Sungei, Bisayas, Bajaus, Muruts, Rungus, Bruneis, Lotuds and many other subgroups. The country's official language is Bahasa Melayu (Malay language), but many other languages and dialects are used in Malaysia. Mandarin is widely spoken by the Malaysian Chinese besides dialects like Cantonese, Hokkien, Hakka, Teo Chew, Foo Chow, Hock Chew, and Hainanese. The Malaysian Indian communities speak dialects like Tamil, Hindi, Telugu, Malayalam, Punjabi and Sri Lankan, among others. In Malaysia, English language is one of the compulsory subjects in schools. It is widely used in everyday business communications, the tourism industry, radio and television broadcasting stations, commerce, and is also the medium of instruction at private higher educational institutions. Most Malaysians use English as their second language, hence, foreigners who speak English would be able to communicate effectively with Malaysians. Islam is the official religion of Malaysia but other faiths like Buddhism, Christianity, Hinduism, Taoism and Sikhism are practised freely by all Malaysians. The Federal Constitution guarantees freedom of religion in the country. Suraus (Musli prayer rooms) can be found in most buildings including colleges and universities. Mosques are found in every district while Christian churches, Buddhist temples and Hindu temples can be found throughout Malaysia. Malaysia is located in south-east Asia, 7 degrees north of the equator, GMT +8. Its neighbours are Thailand, Singapore, Brunei and Indonesia. Malaysia is located in a zone that does not experience drastic weather changes or serious natural calamities such as earthquakes and tornados. Malaysia has a pleasant tropical climate and is generally hot and humid throughout the year. Temperatures are around 30-33°C during the day and 25°C at night in the lowland areas and between 21°C and 28°C in the highlands. Light cotton, cool and casual clothing is recommended all year round. Most of the facilities on campuses are air-conditioned so students like you can study in comfort. The north-east monsoon blows from the months of November to April and bring heavy rains to the east coast of Peninsular Malaysia as well as to Sabah and Sarawak. The south-west monsoon season from May to October is a drier period although the tropical climate means that rain and thunderstorms can be expected from time to time. With its delightful varieties of cultures and traditions, Malaysia is undeniably a food haven that offers a sumptuous range of cuisine. Malaysians love their food and most will agree that there is no other country in the world that has as much variety of food that tastes so good. The price of the food is so affordable that you can eat out most of the time during your stay in Malaysia. Malay, Chinese and Indian cuisine are easily available at most restaurants and hawker stalls. At the same time, there are many restaurants that serve cuisine from all over the world - American, Middle Eastern, Thai, Italian, German, Spanish, French, Japanese, Korean, and many others. Fastfood outlets serving burgers and pizza can be found easily. Halal food is available everywhere and there are ample eateries that offer vegetarian food. Eating out in major cities is convenient as many restaurants are open 24 hours. Malaysians celebrate the festivals of different communities together, giving them the opportunity to learn more about various cultures. During these festivities, the official residences of Malaysian leaders are open to the public. 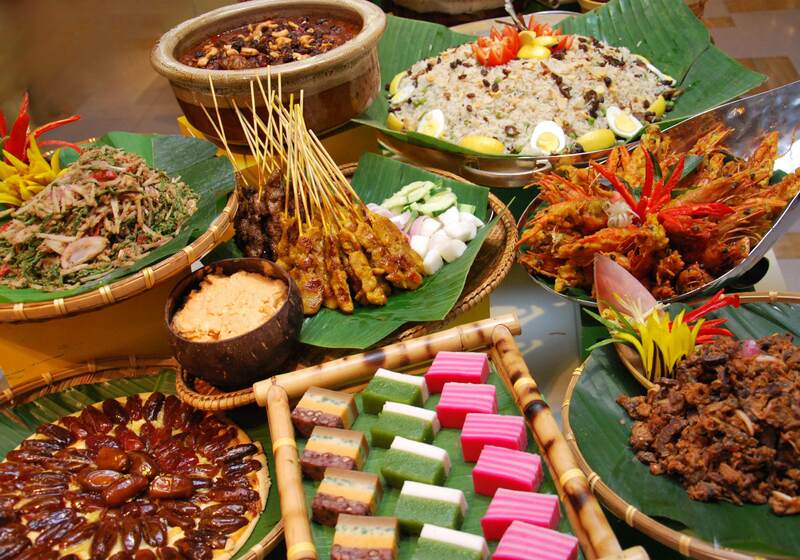 Malaysians also invite guests to their homes for a friendly get-together while partaking in the festivity. It is no wonder that many tourists have remarked that Malaysians are very hospitable, welcoming and warmhearted. Muslims from other parts of the world can definitely feel at home here with Muslim celebrations like Hari Raya Aidilfitri. The Chinese celebrate Wesak Day (a Buddhist festival) and the Lunar New Year. For Hindus, Deepavali and Thaipusam are important festivals while the Sikhs celebrate Vasakhi. Christmas is celebrated by Christians in Malaysia; Pesta Kaamatan is celebrated by the people of Sabah; and the Dayak Harvest festival, marked by family reunions, cultural dances, kenduri (feasts), games, beauty contests and public entertainments, is celebrated in Sarawak. Monetary transactions are conducted in Ringgit Malaysia (RM or MYR) and sen. The notes are in denominations of RM1, RM5, RM10, RM50, and RM100. Coins are issued in 5, 10, 20 and 50 sen pieces. Credit cards are also widely accepted at commercial businesses, while travellers' cheques can be cashed at any commercial bank, hotel or authorised money changers. International students studying in Malaysia will find all its 13 states fascinating and enjoyable to explore. The multi-ethnic Malaysian society has interwoven its influence with the natural environment and this provides interesting spots and historical landmarks for all to visit. Malaysia is endowed with a rich natural heritage. It has a 130-million-year-old rainforest that is home to a wide variety of flora and fauna. 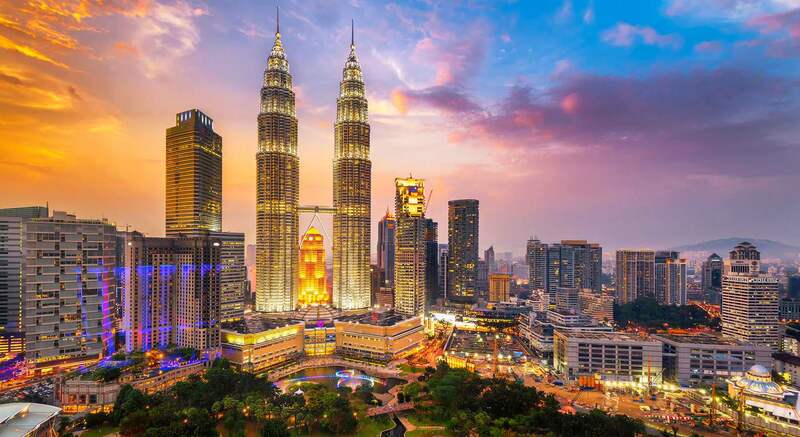 Decorated with beautiful coastlines, idyllic beaches, secluded islands and majestic mountains, Malaysia is an excellent destination for outdoor and recreational activities. Malaysia takes pride in having three properties inscribed on the 'UNESCO World Heritage Sites' list. They are the historic cities of George Town (Penang) and Melaka; Gunung Mulu National Park; and Kinabalu National Park. Peninsular Malaysia's long coastline along with the many coral-fringed islands and coasts of Sabah and Sarawak, Malaysia provides many magnificent beaches for a blissful and relaxing holiday. Visitors will never be at as loss for a place to stay in Malaysia. There is accommodation to suit everybody's need and budget. Accommodation rates are among the cheapest in this region. From budget to five-star hotels and resorts, and even home stay programmes at the countryside, visitors will be spoilt for choice. Malaysia has excellent infrastructure which makes commuting affordable and convenient. The country has well-connected transportation and communication systems within the country and with the rest of the world. Malaysia has extensive road, rail, air and sea links. Malaysia is a major air transport hub in Southeast Asia services by the national airline Malaysia Airlines (MAS); and low cost carriers like AirAsia, FireFlyz and Malindo. Malaysia's state-of-the-art international airport, KLIA (Kuala Lumpur International Airport) is one of the largest international airport in the region. A second airport, KLIA2, was built to meet the growing demand in the low-cost travel industry. KLIA2 can accommodate up to 45 million passengers a year. Malaysia is connected by an excellent network of tarred roads and rail system. The 772-km long North-South Expressway is the longest and most impressive modern highway that links the northern-most part of the Peninsular (Bukit Kayu Hitam in Kedah near the Malaysia-Thai border) to Johor Bahru at the southern portion of Peninsular Malaysia (bordering Singapore). Many Malaysians own cars or motorcycles, and this is the main mode of transport within cities and towns. Public transportation is abundant and affordable; these include town and interstate buses, taxis, the Monorail and Light Rail Transit (LRT) within Kuala Lumpur as well as KTM and e-KTM (Keretapi Tanah Melayu) trains. The KL Monorail interfaces with other rail systems that include the KL Express Rail Link (ERL) which is linked to the KL International Airport at KL Sentral Station. Among the lowest cost of living in Asia while providing a high quality of life with modern infrastructure, amenities and facilities in place. Pleasant, warm and sunny weather with moderate rain throughout the year. Politically stable and is one of the safest countries in the world with a relatively low crime rate. The country practises religious and cultural freedom and harmonious intermingling of different cultures and traditions. All states observe Saturdays as a half working day and Sundays as non-working days; with the exception of Johor, Kedah, Kelantan and Terengganu which observe Fridays as a half- day and Saturdays as non-working days. Public holidays observed in Malaysia include national and state holidays. The former is observed by all states while every state has its own set of holidays.